Here comes the iconic ship from Star Trek: Voyager, the U.S.S. Voyager, as a large scale die-cast vehicle! This oversized 10-inch version of the U.S.S. Voyager has been carefully recreated in die-cast metal and high quality ABS materials, and then hand painted with an incredible level of detail. 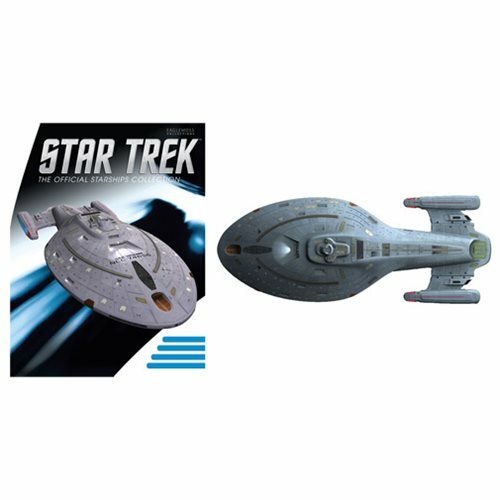 The Star Trek Starships Special Large U.S.S. Voyager Vehicle also comes with magazine #19. Ages 14 and up.